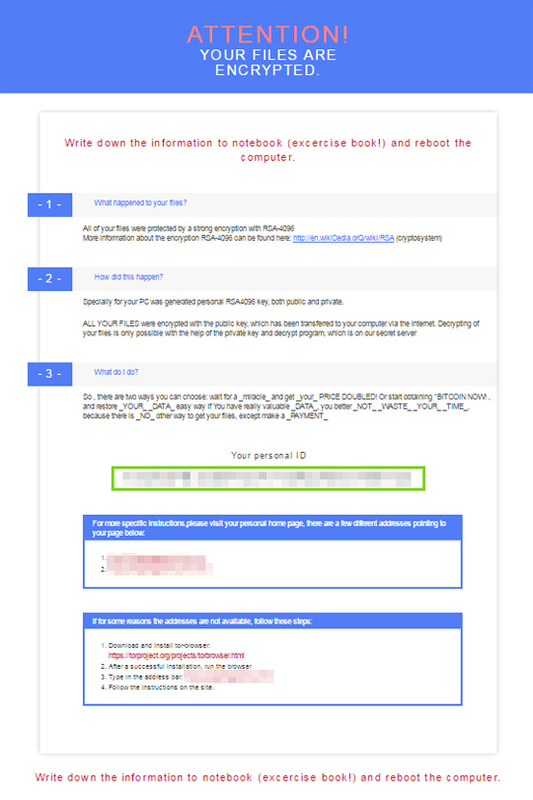 This ransomware is believed to be patterned after WALTRIX/CRYPTXXX. It almost has the same routines as the aforementioned ransomware family, save for a few minor differences. 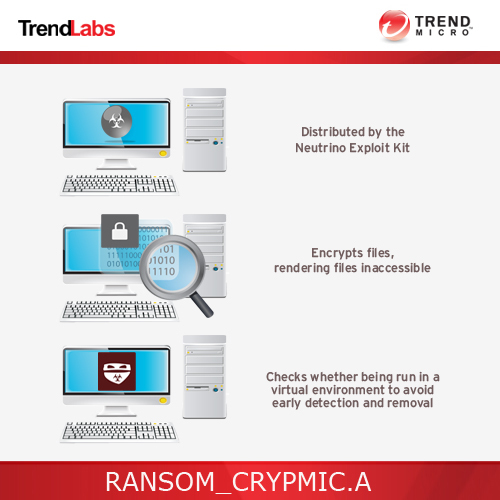 Restart in normal mode and scan your computer with your Trend Micro product for files detected as RANSOM_CRYPMIC.A . If the detected files have already been cleaned, deleted, or quarantined by your Trend Micro product, no further step is required. You may opt to simply delete the quarantined files. Please check this Knowledge Base page for more information.